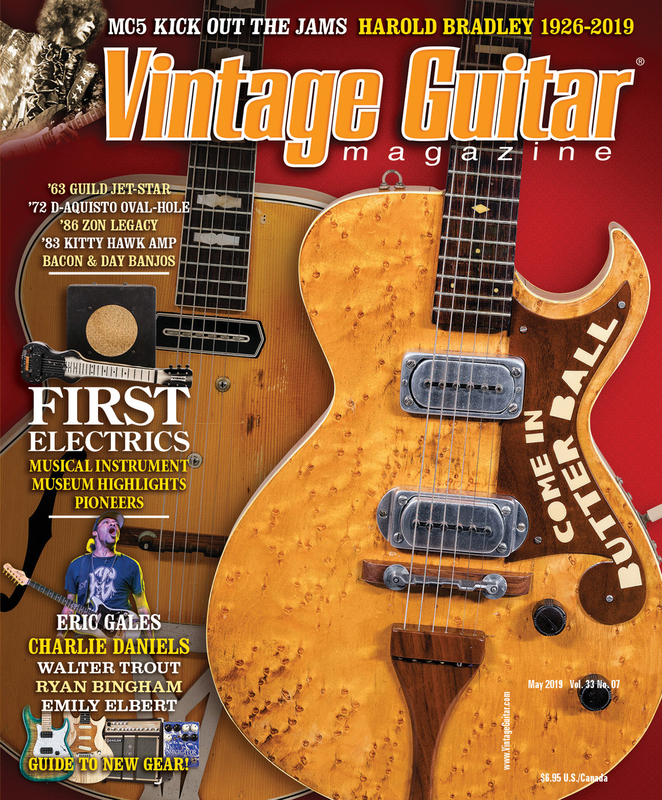 Print + FREE digital edition $34.95 offer is ONLY available when purchased directly from Vintage Guitar Store. Pay no shipping in the U.S. (or discounted shipping outside the U.S.). Partnering with 35 of the top guitar dealers in the industry, Vintage Guitar is proud to provide the most accurate values on thousands of models of electrics, acoustics, basses, amplifiers, effects, lap steels, steels, ukuleles, mandolins, and banjos! The Guide includes a useful directory/geographical guide featuring dealers, manufacturers and tech/repair companies AND contact info! 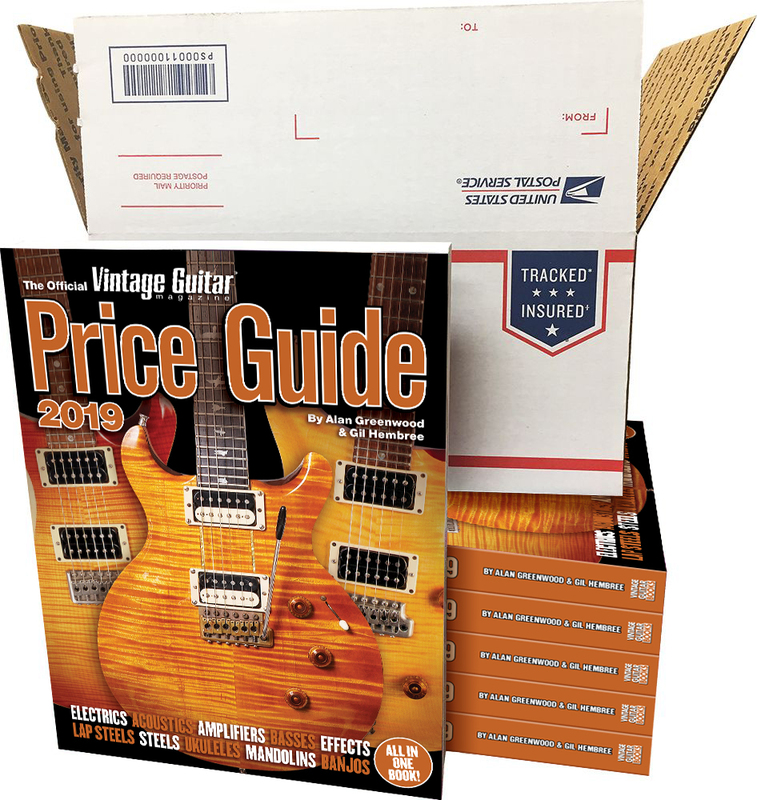 Knowledge and information are vital in the dynamic world of collectible guitars and gear, and no source provides it better than The Official Vintage Guitar Price Guide 2019. Whether your instrument is an investment or a piece that you simply enjoy riffing on, it’s always nice to know its worth. Checking out a guitar at the local shop and want to know its value before you hand over the cash? The Guide is your source for all the details! Conveniently available in both print and digital editions – no matter where you go you will have The Guide right at your fingertips. Digital edition redemption code ships with the print edition. For many musicians, instruments are investments. And, they’ve been good investments; the typical vintage guitar is today worth almost four times what it was in 1991. Vintage Guitar developed its 42 Guitar Index to help readers and enthusiasts track the value of their instruments. The easy-to-understand graphic can be found in the introduction. The table of contents shows the major sections and each is organized in alphabetical order by brand, then by model. The Guide has excellent brand histories and in most cases the guitar section has the most detailed information for each brand. When possible, The Guide lists each model’s years of availability and any design changes that affect values.